SA4QE - Spreading the Word of Russell Hoban: SA4QE 2011: The Slickman A4 Quotation Event is recruiting! SA4QE 2011: The Slickman A4 Quotation Event is recruiting! It's that time of year again, when fans of the great American author Russell Hoban share their favourite quotes from his many wonderful books with the world. SA4QE is now in its 9th year and began as an idea for a way to celebrate Hoban's birthday on 4 February - he will be 86 this time round! - in suitable fashion. To take part, simply write your favourite passage from a Hoban book (and there are lots to choose from, from the 1980 masterpiece Riddley Walker to the children's classic Frances the Badger to the most recent novel Angelica Lost and Found) on a piece of paper, and leave it in a public place on Friday 4 February. In the past few years SA4QE contributors, or 4qaters (pron. fork-you-aters) as they're known, have also shared the Hoban love across various social networking sites such as Twitter and Facebook. This is very much encouraged, but of course as the very name SA4QE suggests there's nothing quite like leaving a good old sheet of A4 on a park bench, on the wall of a subway train or on a bookshop shelf. Whatever you choose to lay your quotes out on, please share them with this site. 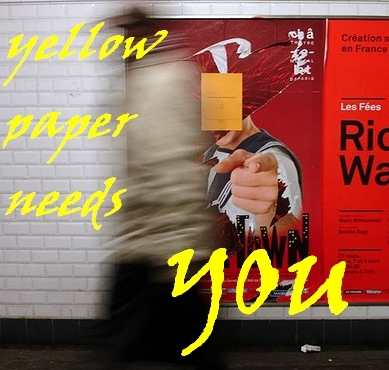 You can do this in a number of ways, such as by emailing us direct (the best method if you take photos of your yellow paper drop), posting them on the Kraken (the official Hoban fan forum established 1998) or using the SA4QE comments facility which will be clearly posted on the front page of this site starting 3am UK time on 4 February. In the meantime watch this space in the next few days for a nice surprise! SA4QE is now on russellhoban.org! The Slickman A4 Quotation Event (SA4QE) is an annual literary activity in which fans of the novelist Russell Hoban celebrate his birthday on 4 February by placing favourite quotations from his books in public places. SA4QE posts are now being recorded over at the official Russell Hoban website www.russellhoban.org. See you there! 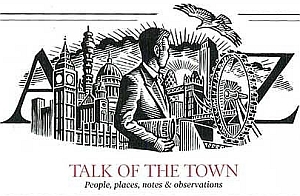 In the meantime, enjoy the huge archive of quotations, reports and photos on this site dating from 2002 when the event started, up to and including 2012. New Russell Hoban website launched! Updated 21/10/12: A new website devoted to Russell Hoban was launched last month. Containing a biography, information pages on the books and scores of essential links, russellhoban.org is the definitive guide to all things Hobanesque. The site also has a forum and is inviting submissions of original content such as essays. Registered users can also add to a "gallery of editions" which aims to crowd-source a comprehensive list of all editions of Russell Hoban's books. New Russell Hoban books out now! 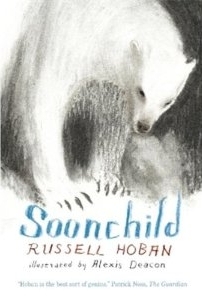 On 1 March 2012 Walker Books published Russell Hoban's final young-adult book Soonchild, with amazing illustrations by Alexis Deacon. Read a lovely review in the Guardian, see some exclusive spreads from inside the book and get more details and a text extract at the Head of Orpheus website. Walker tweeted photos of Russ and Alexis at their offices in January 2011. Also, on 4 October 2012 Walker published a beautiful new children's book. 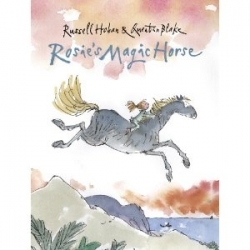 Rosie's Magic Horse is illustrated by the legendary Quentin Blake (with whom Russ had formerly collaborated on Trouble on Thunder Mountain, among other titles) and tells the story of a little girl and her collection of ice-lolly sticks, which dream of being a horse. Our dear friend Russell Hoban passed away on 13 December 2011. He was 86. There are more details in this blog post. You can also sign our book of condolence. 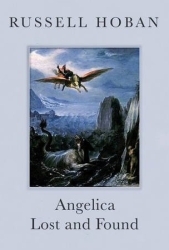 Russell Hoban's last novel Angelica Lost and Found was published in November 2010 and is available from Amazon and all good bookshops. There were good reviews of the book in the Guardian and Independent and an excellent interview with Russell Hoban in the Scotsman, as well as a revealing audio interview at Tim Haigh Reads Books. In October 2012 another new children's book, Rosie's Magic Horse, with illustrations by the great Quentin Blake, was published by Walker Books, who tweeted a photo of the two together in July 2011. See all blog posts tagged "Russell Hoban news"
On 16 October 2010 Russ made an appearance in London at the Serpentine Map Marathon event - SA4QE has an exclusive transcript of the interview and pictures and the Serpentine Gallery posted a full video in June 2011. On 22 November 2010 Russ took part in a live interview about Riddley Walker in London for the Guardian Book Club series - the evening was fascinating, entertaining and a sell-out. SA4QE has a full report and pictures and an exclusive video clip while you can hear an edited version of the event on the Guardian podcast. On 15 February 2011 Russ took part in a brilliant conversation with Will Self at the British Library about Riddley Walker; SA4QE has a full multimedia report including a transcript, photos and a video of Self reading a classic passage from the book. Between 29 September and 16 October 2011 the Trouble Puppet Theatre Company in Austin, Texas staged a version of Riddley Walker. Russell Hoban was supportive of the production. Details can be found on the Trouble Puppet site. There is currently talk of the show touring to other venues in the US. Russell Hoban reader survey results are in! Ever wanted to know Russell Hoban fans' favourite books, characters or quotes? Now you can, with the results of our recent survey. 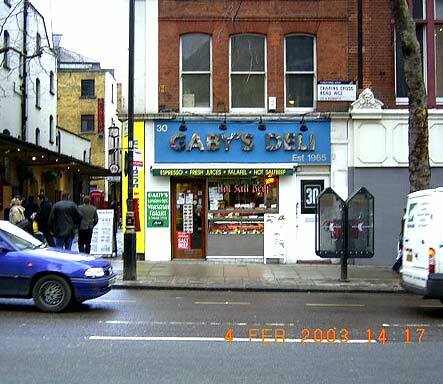 The London restaurant Gaby's Deli, which is mentioned in Russell Hoban's books The Bat Tattoo and Linger Awhile, is under threat. The landlords want to close it and, reportedly, replace it with a chain restaurant. Give their Facebook page a like or sign their petition. In 2005 the first international convention for Russell Hoban fans took place in London, and was marked by the publication of a fantastic 48-page booklet featuring exclusive contributions from innumerable fans and associates including novelist David Mitchell and actress Glenda Jackson. A wonderful memento of the event, it's also a beautiful collector's item and must-have for any Hoban fan. Although in limited supply, copies of the booklet are still available at £6.00 each plus p&p. Order direct from the Russell Hoban Some-Poasyum website. Russell Hoban turned 86 on 4 February 2011 and fans celebrated in traditional style by leaving quotes from his books in public places. Browse their quotes here. The Russell Hoban community group The Kraken sent Russ a birthday gift of The Kraken Rum. Read a report about this at the Fantastic Reads blog. 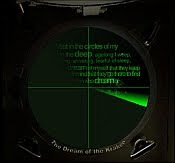 To celebrate 30 years in print of Russell Hoban's most famous novel Riddley Walker, SA4QE broke with its February tradition and conducted an extraordinary SA4QE on 5 November 2010 in which participants shared their favourite quotes from the book. 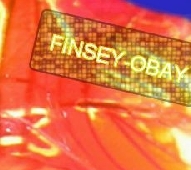 This site was updated throughout November 2010 with the quotes submitted. To search this blog simply type your query into the search box at the far upper left of the page (the one prefixed with the stylised Blogger "B"). 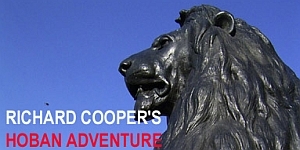 Richard Cooper's 2003 Hoban Adventure: 1 day. 29 London locations. 33 Hoban quotes. 2 sore feet.